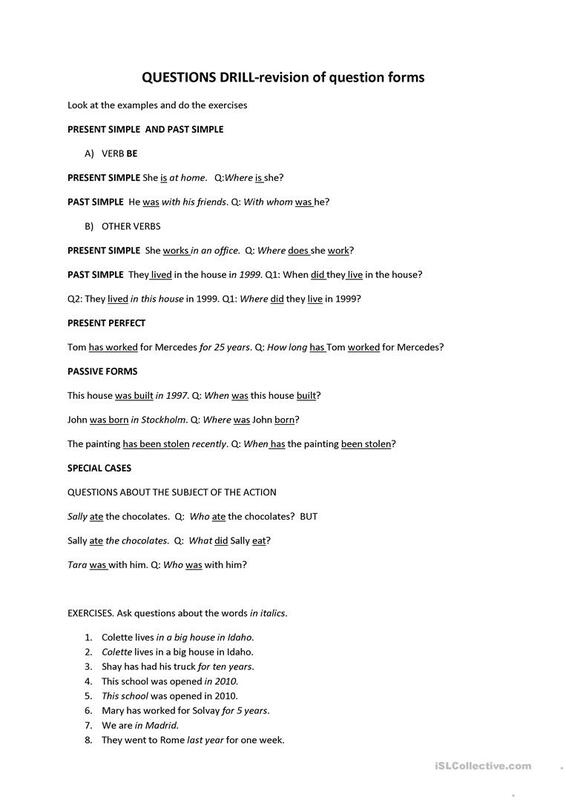 Questions drill (present simple, past simple, present perfect, passive) with some explanations. Good for revision. The above printable, downloadable handout is recommended for business/professional students, high school students and adults at Pre-intermediate (A2), Intermediate (B1) and Upper-intermediate (B2) level. It is aimed at teaching Questions in English. melikestea is from/lives in Belgium and has been a member of iSLCollective since 2011-11-30 15:54:12. melikestea last logged in on 2018-10-22 13:10:28, and has shared 14 resources on iSLCollective so far.